In the direction of the stern. In the venter of the vessel, either with reference to her length or to her breadth. At right angles to the fore-and-aft line of the vessel. 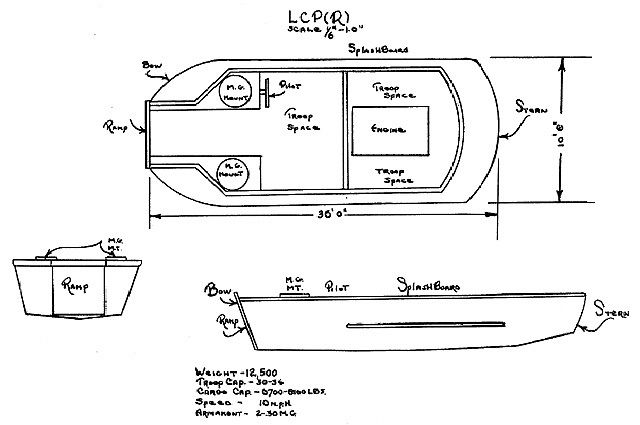 A ship's boat designated for the use of flag officers. The space between any two decks of a ship. 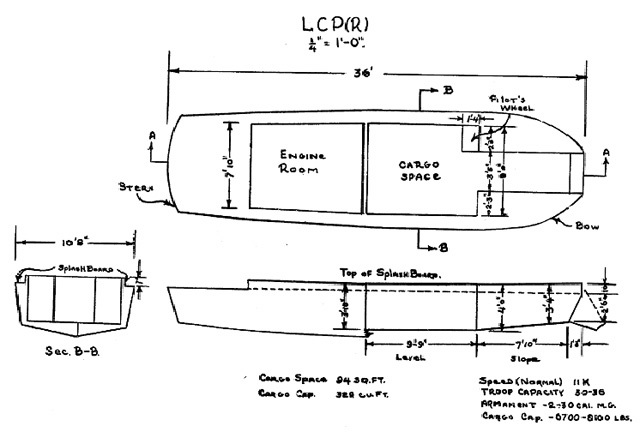 The curved part of a ship's hull where the sides and the flat bottom meet. Also the largest circumference of a cask. 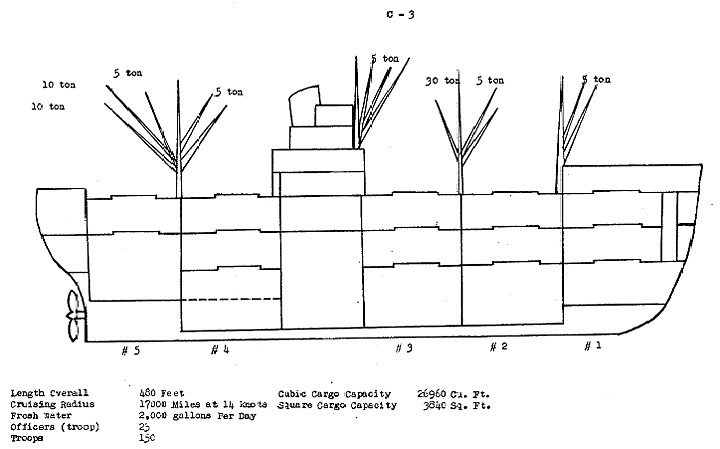 Vertical wooden or metal projections on the deck used for securing lines or gear. The boom swung out from a ship's side when at anchor and to which boats in the water secure. A wooden staff with a metal hook at one end used for fending off or holding on. An officer aboard ship who has charge of the rigging and who calls the crew to duty. The bottom of a block. The after end of a gun. The outside angle of a knee-timber. The raised platform extending athwartship in the forward part of the ship and form which it is steered and navigated. Amidships and after bridges are sometimes so fitted. The ship's prison. A square rigged vessel with two masts. An hermaphrodite brig is rigged on the foremast like a brig and on the mainmast like a schooner. To slew round when running before the wind. A hatch over a cargo hold. To break or tear loose. A fitting of wood or metal with horns, used for securing lines. The steps leading below from the upper deck. A curved metal spar fitting into a socket on deck and projecting over the side for hanging a boat. A navigator's reckoning with courses steered and distances run independent of sights or bearings. The floor of all parts of the vessel which rest upon the beams. (Colors) The temporary lowering of the ensign part way down in the process of saluting or returning a sulte of another vessel. Used to secure water-tight doors and hatches. One of the two-hour watches from 40 to 8 p.m.; from 4 to 6 p.m. is the first dog watch, and from 6 to 8 p.m., the second dog watch. 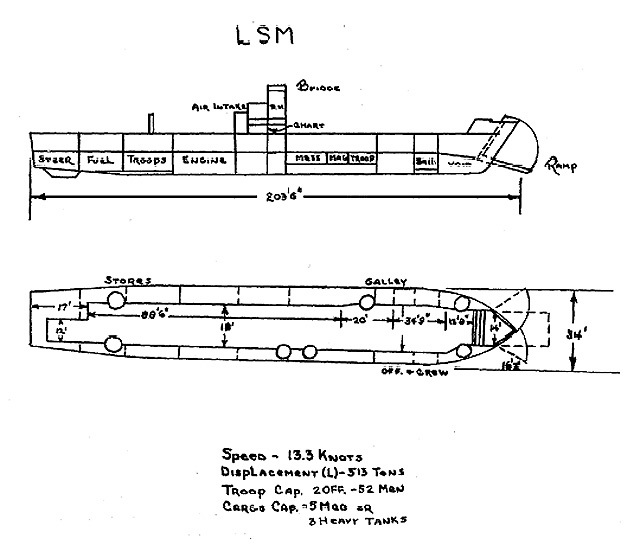 Water-tight subdivisions of a man-of-war next to the keel and between the outer bottom and inner bottom. The depth of water to vessel's keel. The depth to which a vessel sinks in the water. 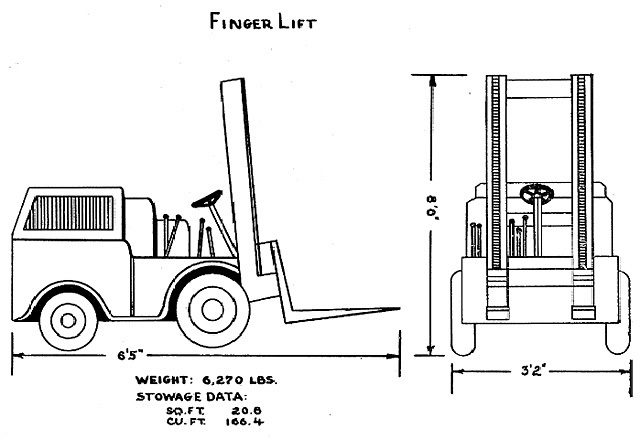 Loose material placed in holds for the cargo to rest on, or jammed between the cargo to wedge it. The flag carried by a vessel as the insignia of her nationality. That part of tackle which the power is applied in hoisting. The part of the stern of a vessel extending abaft the sternpost. Canvas, wood or rope used over the side to protect a vessel from chafing when alongside another vessel or a dock. The iron framework around the ladder of a deck-hatch leading below decks. Term used to distinguish the forward part of a vessel, or parts forward of amidships. The upper deck forward of the foremast. An opening in the bulwarks to give entrance to the ship. The general name for ropes, blocks and tackles of spars or sails. 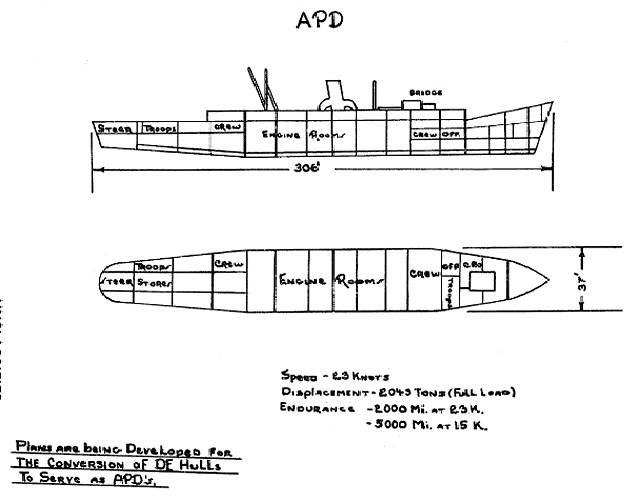 A ship''s boat designated for the use of the commanding officer. 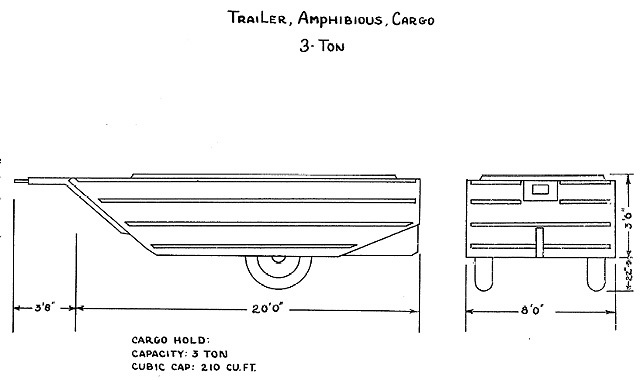 The upper rail of a boat or vessel. A compass consisting of a rapidly spinning rotor so swung as to maintain its axis in the geographical meridian and pointing to the true North. 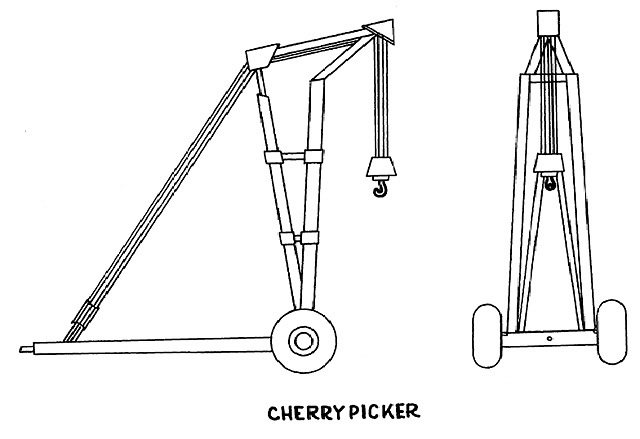 An order to put the wheel or tiller as far over to the side designated as possible. A large rope for towing or heavy work. The ship's lavatory; or toilet. A small line secured to a hawser and thrown to an approaching vessel or to a dock, for a messenger. To put a vessel in the position of lying-to. The tiller. The machinery by which a vessel is steered. 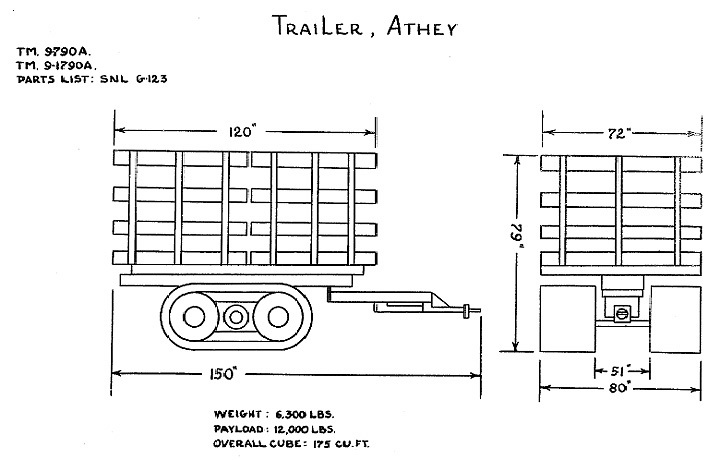 An order to haul up. 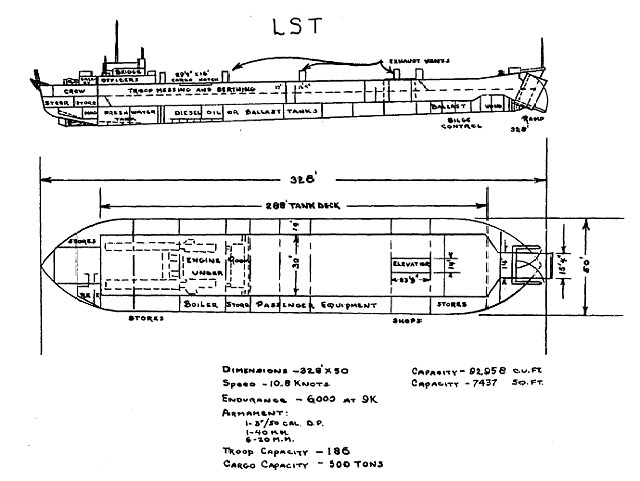 The space below decks utilized for the stowage of ballast, cargo or stores. 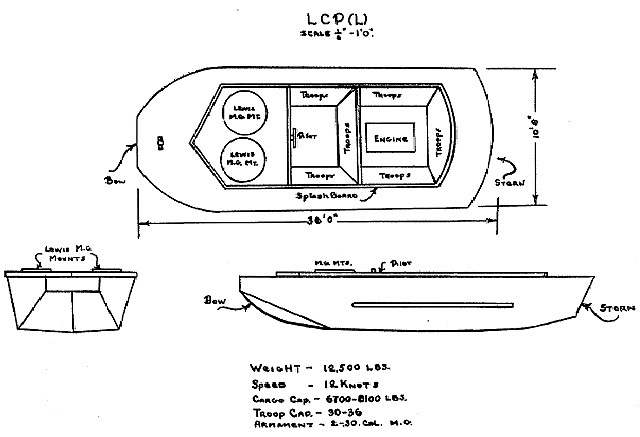 The body of a vessel. Toward the fore-and-aft line of the ship. The flag similar to the union of the national flag. A ladder of rope with wooden steps used over the side and aloft. 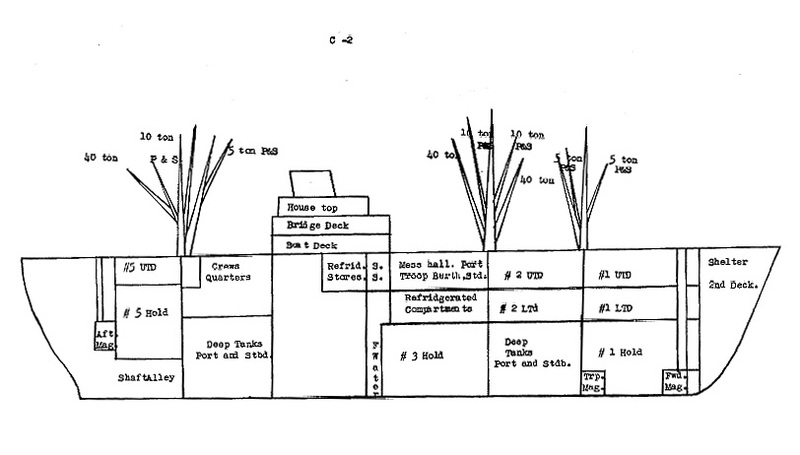 The timber or bar forming the backbone of the vessel and running from the stem to the sternpost at the bottom of the ship. To stop; especially to stop work. A division on the log-line, answering to a mile of distance. A nautical mile is 6,080 feet; a land mile 5,280 feet. A metal, wooen or rope stairway. A rope made fast to an article for securing it, e.g., knife lanyard, bucket lanyard, etc. ; or for setting up rigging. the side opposite to that from which the wind blows. The direction away from the wind. The drift of a vessel to leeward caused by the wind or tide. To stop the progress of a vessel at sea, either by counter-bracing the yards, or by reducing sail so that she will make little or no headway, but will merely come to and fall off by counteraction of the sails and helm. A line secured around the shide of the ship above the deck to prevent persons from falling overboard. A craft used in loading and unloading vessels. The inclination of a vessel not caused by wind or sea. 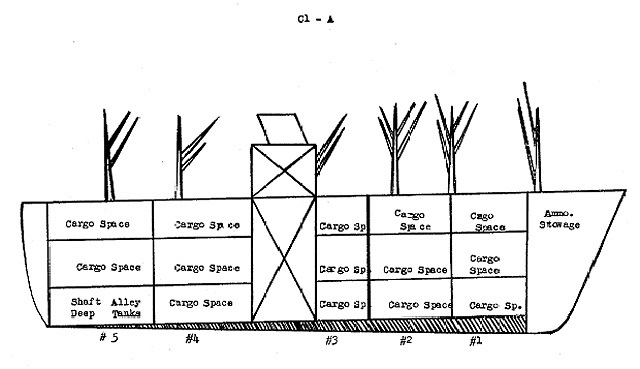 The space provided for the stowage of explosives. 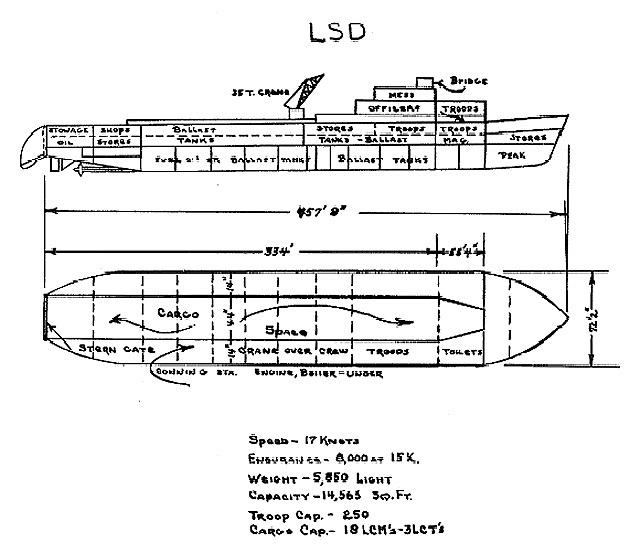 The highest deck extending from stem to stern. Hoisting the ensign at 8 a.m. Lowering the colors at sunset. Any numbmer of men who eat or lodge together. A nautical mile of 1-60 of a degree of latitude, generally 6,080 feet. Officer temporarily in charge of the deck of a vessel. Same as abeam or abreast. Towards the sidees of the vessel. A rope attached to the bows of a small boat, used for making her fast. To slack out on a line made fast on board. An order to keep quiet; an order dismissing the crews from an evolution. (Quaters) Boatswain's pipe call to an evolution. A partial deck oat the stern over the main deck. The left side fo a vessel looking forward, an opening in a ship's side--such as air-port, or cargo-port. The part of the bow above the water. That portion of the vessel's sides near the stern. A name applied to the part of hte upper deck reserved for the use of officers. A petty officer of the bridge force. 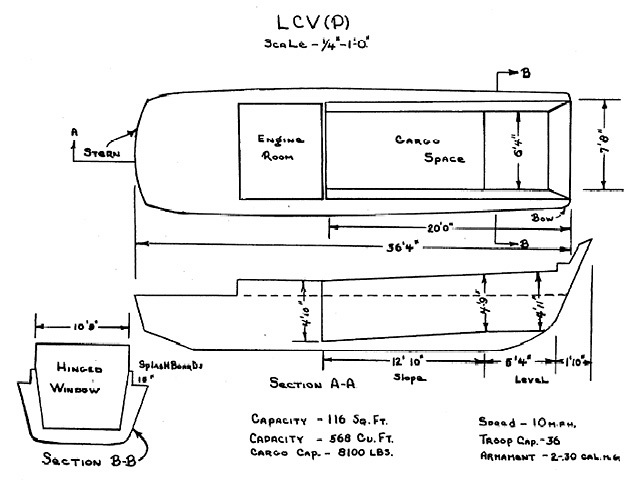 The framework of a vessel. General term for all ropes of a vessel. Holes cut in the waterways to drain water from the decks. A complete deck next below the main deck. Strictly speaking, to divide a ship's company into watches; the order at 8 p.m. on a man-of-wear to station the first watch. To prop up. A prop or stanchion, placed under a beam. To leave; an order to the bowman to shove the bow clear preparatory to leaving a deck or a vessel's side. To set in ropes, so as to put on a tackle to hoist or lower it. 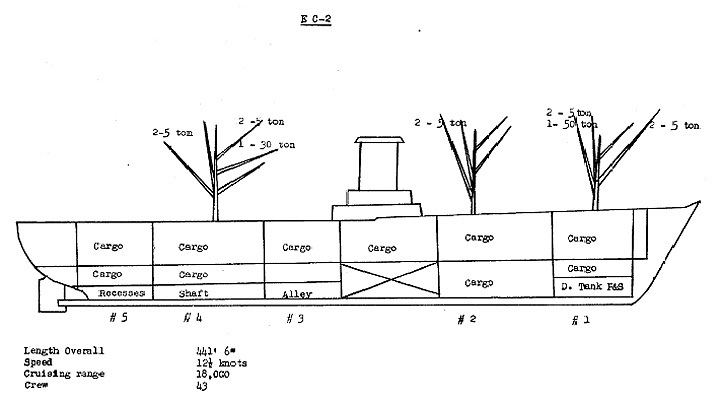 Upright posts of wood or iron, placed so as to support the beams of a vessel. Upright pieces placed at intervals along the sides of a vessel, to support the bulwards, and rail, and reaching down to the bends by the side of the pieces to which they are bolted. Any fixed upright support. The right side of the vessel, looking forward. The after part of a vessel. (stern line) a rope led over the stern of a boat and used for securing her by the stern. 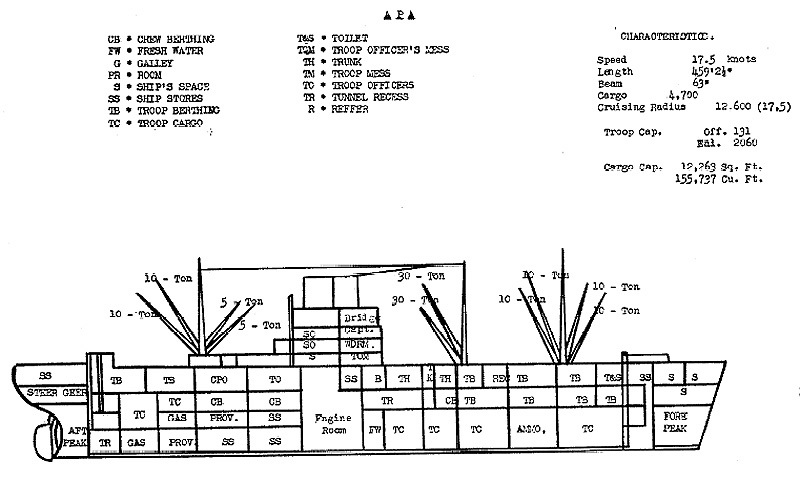 A partial deck above the main, upper, forecastle or poop deck, and not extending out to the side of the ship. To pass a turn around a belaying pin or cleat and hold on. A piece of heavy canvas, used for coveringhatches, boats, etc. At right angles to the fore-and-aft line. The hollow between two waves. Passing a rope around a pion or kevel, to keep it fast. 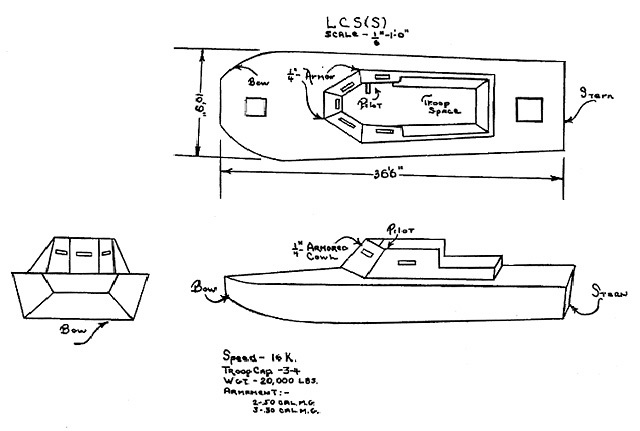 An order to commence ship's work. The upper inner corner of an ensign. (see jack) Small flag, containing only the union without the fly, usually hoisted at the bow-sprit-cap. A wooden or metal pipe used to supply or exhaust air. A division of time on board ship. There are seven watches in a day, from 12 M. round through the 24 hours. they consist of 4 regular 4-hour watches and the 2 "dog-watches" (see Dog Watch). A certain portion of the ship's company, appointed to stand these watches are known as "the watch." A buoy is said to watch when it floats on the surface. A purchase formed by a horizontal spindle or shaft with a wheel or crank at the end. That part of the hold or between-decks which is next to the side. Landing craft, rubber, large LCR(L) 16'0" 8'0" 395 10 3.4-4.5 kt. 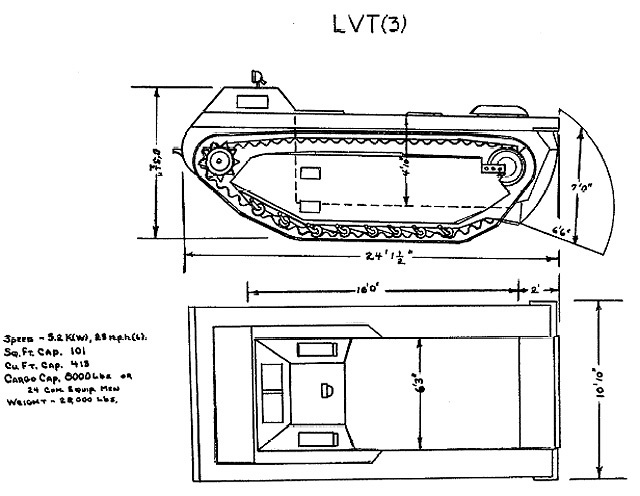 Landing Vehicle, Tracked, Mark 1 LVT(1) 3 21'6" 9'8" 16,900 20 21/4 15 m.p.h. 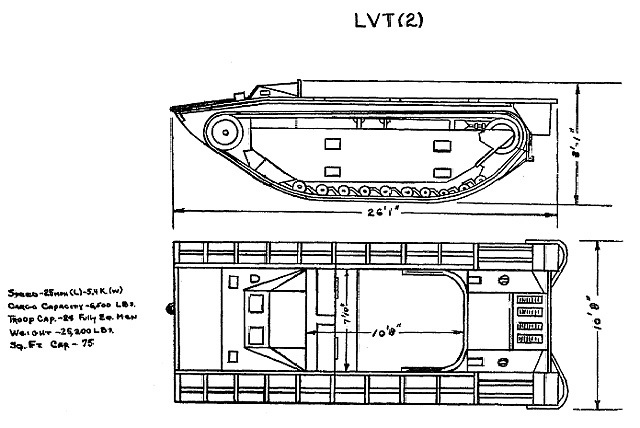 Landing Vehicle tracked, Mark 2 LVT(2) 3 26'1" 10'6" 25,200 24 31/4 25 m.p.h. Landing Ship, Tank LST 9 Off. Landing ship, Dock LSD 17 Off. 237 Men 457'9" 72'0" 8,064,000 22 Off. Amphibious Force, Flagship AGC 459'3" 63' 130 Off. Coastal Transport, Small APc 20 103'0" 21'3" 476,000 2 Off. 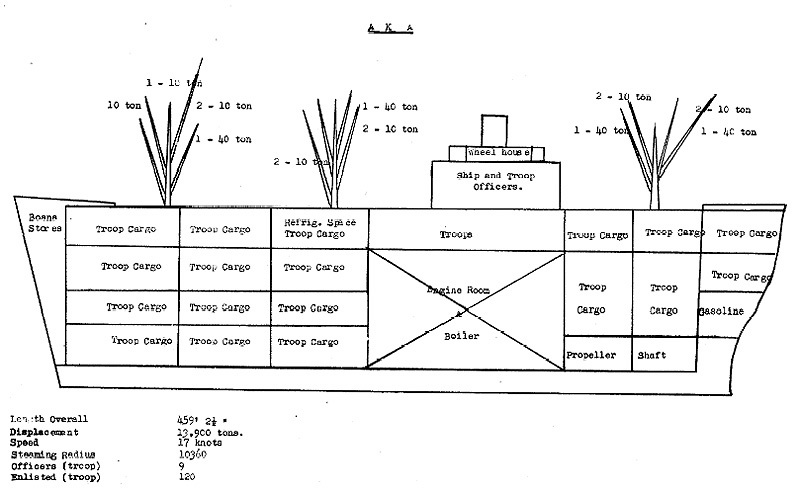 LCVP 36 troops or 6,000 lb. 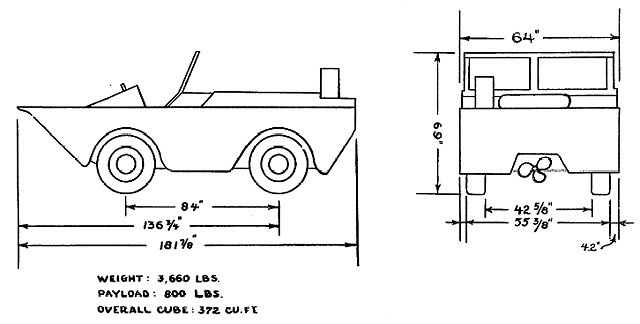 vehicle or 8,100 lbs. cargo, provided center of gravity is kept low. 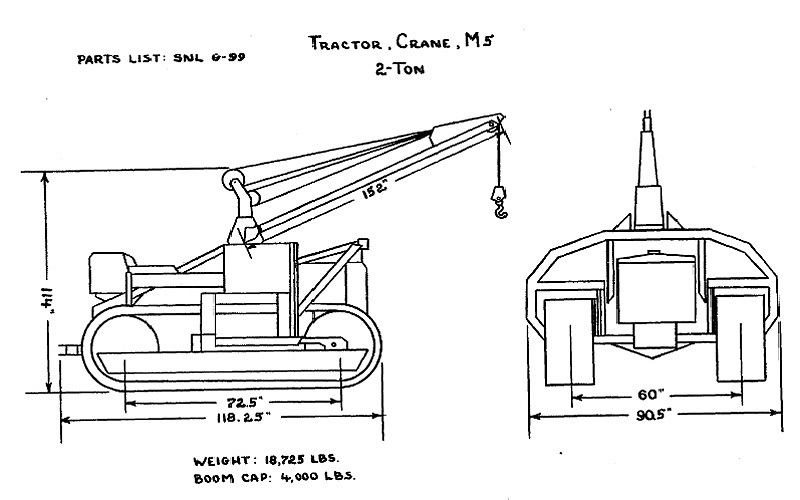 LCM(2) One 131/2-ton tank or 30,000 lbs. cargo or 100 men. 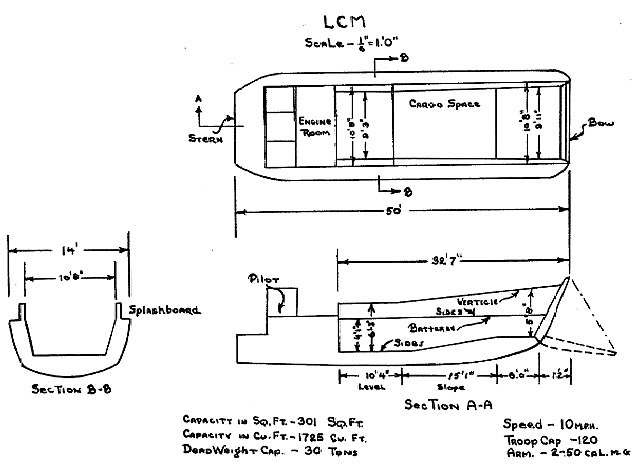 LCM(3) One 30-ton tank or 60,000 lbs. of cargo, or 60 troops. 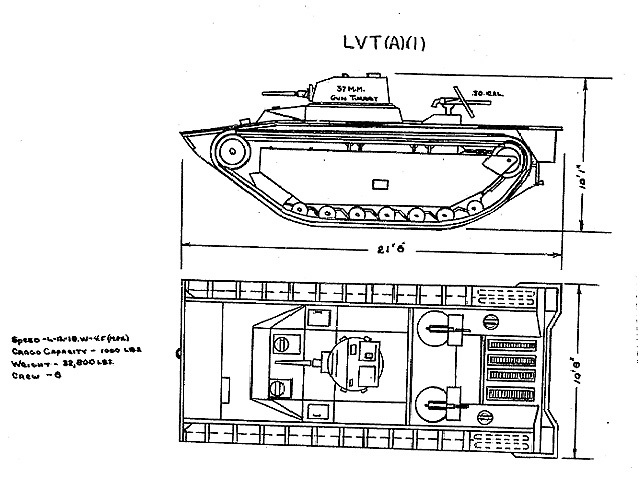 LCT(5) Five 30-ton, or four 40-ton, or three 50-ton tanks; or 9 trucks, or 150 tons cargo. 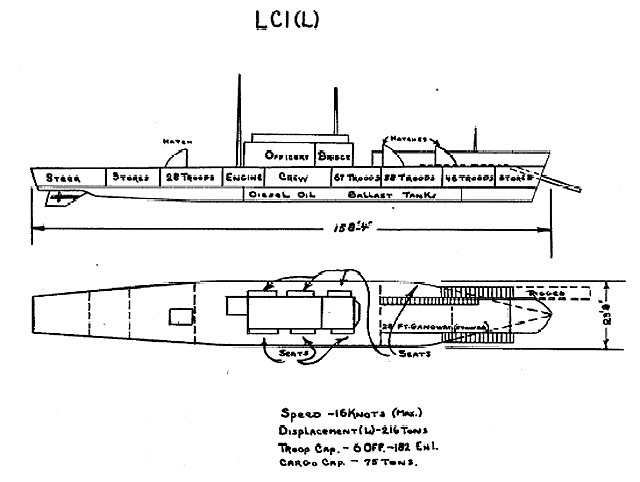 LCT(6) Four medium or three 50-ton tanks, or 150 tons cargo. LVT(2) 6,500 lbs. (normal) of 24 fully equipped men. 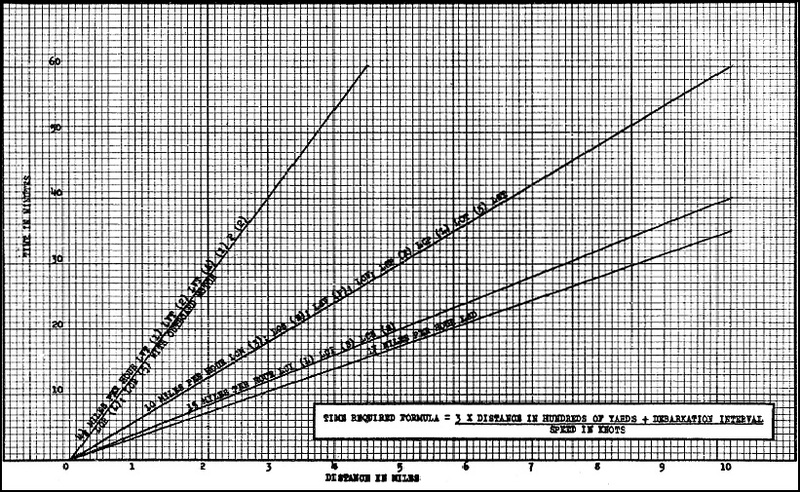 LVT(A)(1) Maximum of 1,000 lbs. 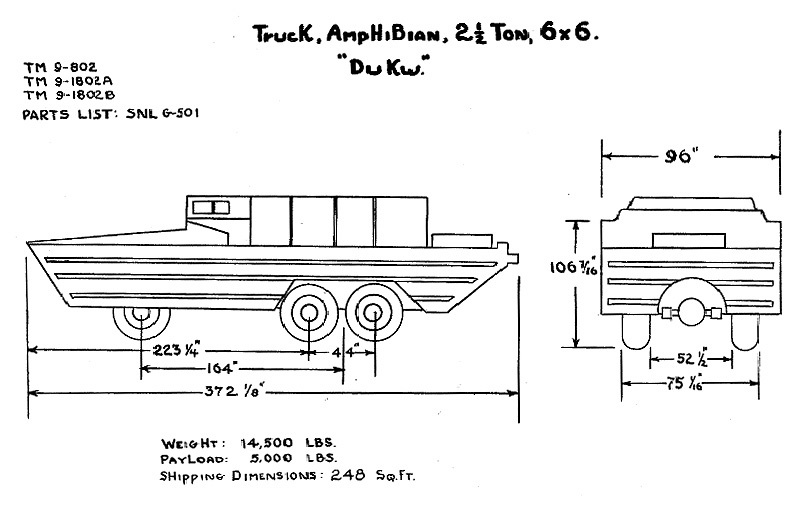 DUKW 25 troops and equipment or 12 loaded litters, or 5,000 lbs. of cargo. 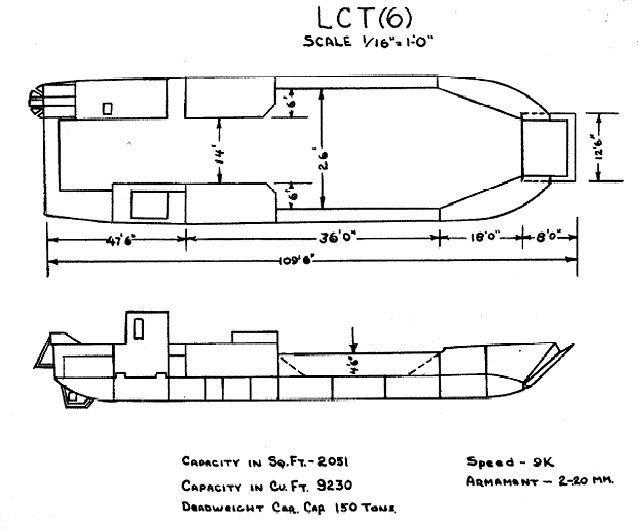 LSM 5 medium or 3 heavy tanks, or 6 LVT's or 9 DUKW's. 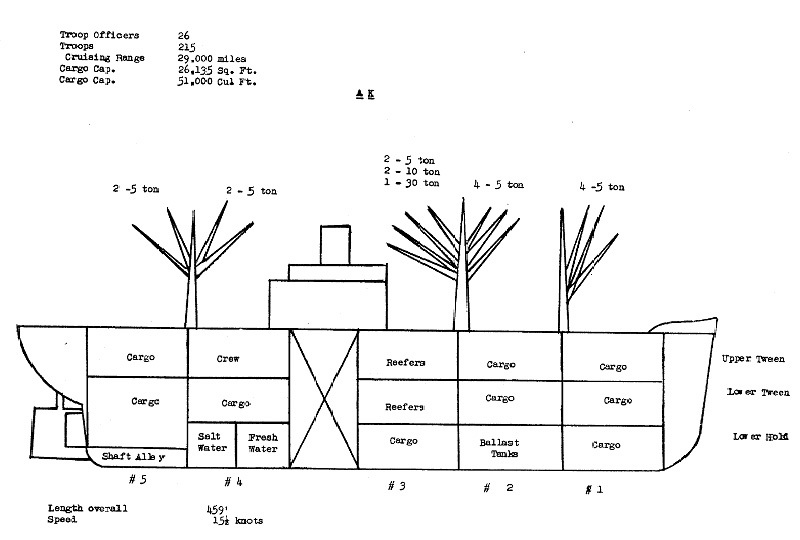 LST 2,100 tons cargo (ocean going) 500 tons cargo (landing). 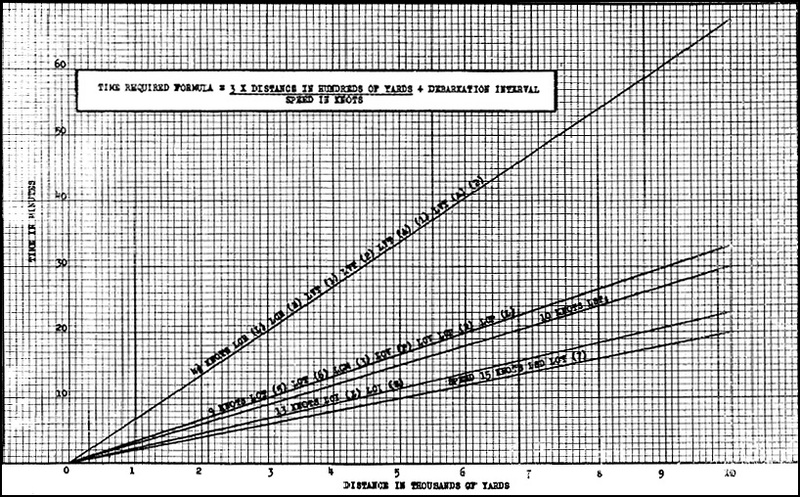 LSD 3 LCT (5)(6) each with 5 medium tanks o4 2 LCT (3)(4) each with 12 medium tanks or 14 LCM(3) each with 1 medium tank or 1,500 long tons of cargo, or 41 LCT's or 47 DUKW's. 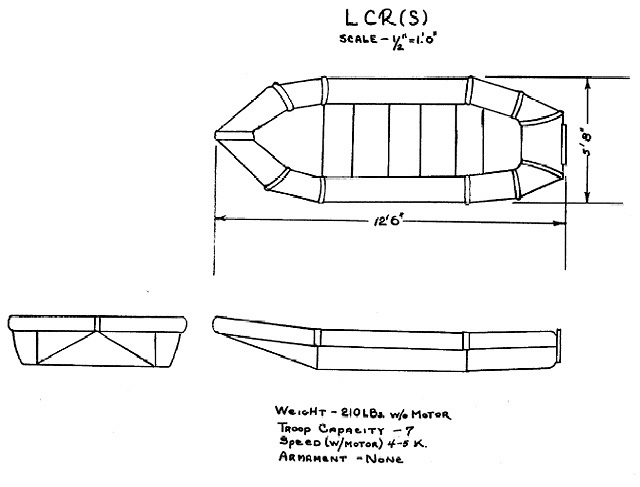 ARL 2 LCV(P), 10 Balsa Floats. APD (Destroyer) Four LCP(L) or LCP(R) and one Marine rifle co.